It’s understandable how some people look at contractors and wish they would be in their shoes. Contractors own their time, people work for them, and they typically earn more money than your usual 9-to-5 employee. All things considered, contractors are perceived to have it made, and that perception would be correct. However, what most people don’t realize is that contractors have to deal with unique and often dangerous situations on the job, and on a daily basis at that. Roofers, electricians, remodelers, excavators, and other types of contractors all face the risk of getting involved in on-site accidents, which could happen in a split second. And when those accidents lead to bodily injuries to untrained people like the client or bystanders in the work site, or damage to the property, contractors can expect to be sued for claims by the people involved. Damage claims can get pretty costly, but if you’re a contractor and you have unlimited resources, paying for those claims should not be a problem, although it still wouldn’t be the smartest way to go about it. However, if your contracting business is a small one, any claims made against you can make you go bankrupt if you pay them out of pocket. As mentioned above, paying for claims from your own pocket is not the wisest thing to do. The smartest—and probably the only—way to deal with claims arising from contracting job-related accidents and situations is to get the right insurance for contractors. Claims for bodily injury and property damage don’t come cheap. The same goes for the legal fees that come with being sued for claims. We know of far too many contractors who were left with no choice but to close up shop after being compelled by a court to compensate the people who have filed the claims against them. It goes without saying that these contractors suffered their fate for the simple reason that they didn’t have the protection of even a cheap contractors insurance policy. If only all contractors consulted the right contractors insurance services and acquired proper coverage, they would have been able to pay for all legal costs and the compensation granted by the court to claimants without putting their business in a hole. If you run a contracting business and you want to avoid meeting the same fate, the best thing you can do right now is call us at Affordable Contractors Insurance so we can discuss the right general liability business insurance for you. One thing you need to know about Affordable Contractors Insurance is that we only insure contractors. With the focus we put on people and companies who do contracting work, we have a much deeper appreciation of the insurance needs of contractors. This unique understanding shows in the highly-customized construction business insurance policies that we provide our clients. We also take pride in the affordability of our insurance policies. We can say with utmost confidence that we are the ones to talk to if you’re looking for cheap general liability insurance for contractors. And to prove to you that we make things easier for our clients, you would be happy to know that you can get insurance policies from us with only a 20% down payment! If you’re considering getting builders insurance or any type of coverage from Affordable Contractors Insurance, we suggest that you call us straight away. Our live agents are always there to receive your call and discuss whatever you need to discuss regarding our construction business insurance policies. To make things even easier for you, we will provide you competitive quotes within minutes of your call. For a contractor, there is no better way to deal with possible accidents and their consequences than to get insurance for construction work. Having insurance is the best way to protect your contracting business from going under in case financial claims are filed against it. Don’t wait for any mishap to happen before getting the right insurance because by then, it would already be too late. Let Affordable Contractors Insurance guide you through the insurance policies that you may require. 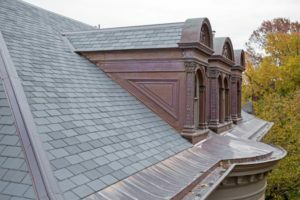 Unfortunately, we see many under-insured and non-insured roofers facing financial responsibility for something that should have been covered by comprehensive insurance for roofing contractors. Learn how roofing insurance companies like Affordable Contractors Insurance can help you get the coverage you need. There is no doubt that general liability insurance is a key part of your overall business protection strategy. Without the sufficient coverage provided by insurance for general contractors, you and your business could face serious losses. Learn how Affordable Contractors Insurance can help protect you. When you need general liability insurance for contractors, you usually need it right away. And you don’t want to pay through the nose to get it. Affordable Contractors Insurance gets you the coverage you need at the price you want. Ask about our Instant Certificate of Insurance.